Whether you need to purchase new farm equipment or you need automotive repair in Plymouth, Utah, Tractor and Equipment Service has what you need. Read more about what we can do for you from service and parts to sales and name brand products. We keep your equipment running so you can keep working. 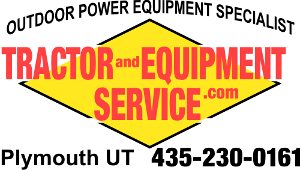 Tractor and Equipment Service of Plymouth, Utah, has all of the sales and repair services to fulfill your farm and outdoor power equipment needs. We offer a variety of new equipment for sale, from Generac® generators to small engine parts. Our team also handles a wide range of repairs, replacing engine parts for brands such as Briggs & Stratton®, Honda™, and more. With a lifetime of experience servicing engines and repairing related systems such as transmissions and air conditioning, our owner has the expertise to complete all your needed automotive repair work. Additionally, he offers a breadth of knowledge about various brands of outdoor equipment, tractors, and farm equipment to help you find quality brands to choose from when considering a new purchase. We are here to help you from repairing tractors, automobiles, and outdoor power equipment to new equipment sales of mowers and trimmers from top brands. Customer service is our specialty and we pride ourselves on providing the best around. Our experts are also licensed and insured for your peace of mind.